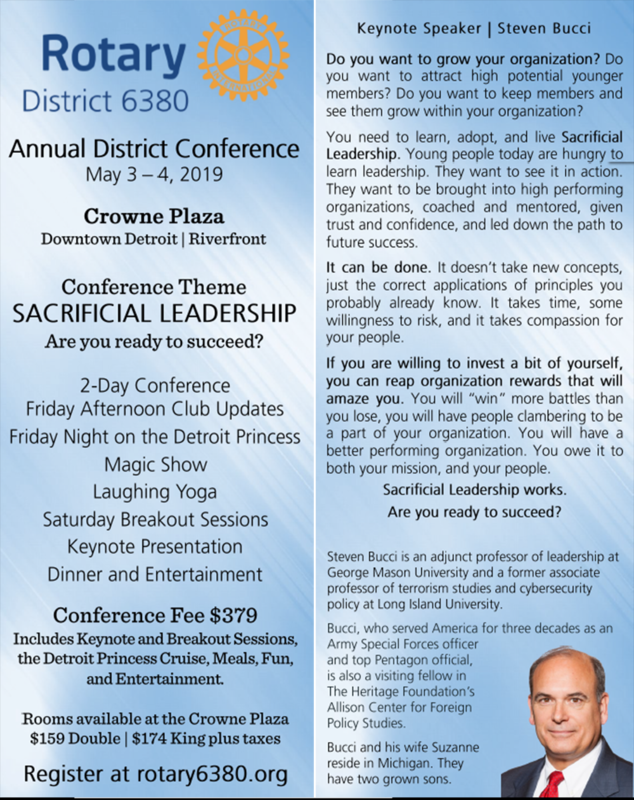 The Rotary District 6380 Annual District Conference is your chance to come together with other district club members, friends and family to celebrate a successful year of good works that our 53 club district has achieved under the amazing Governorship of Jane McManus!!!! 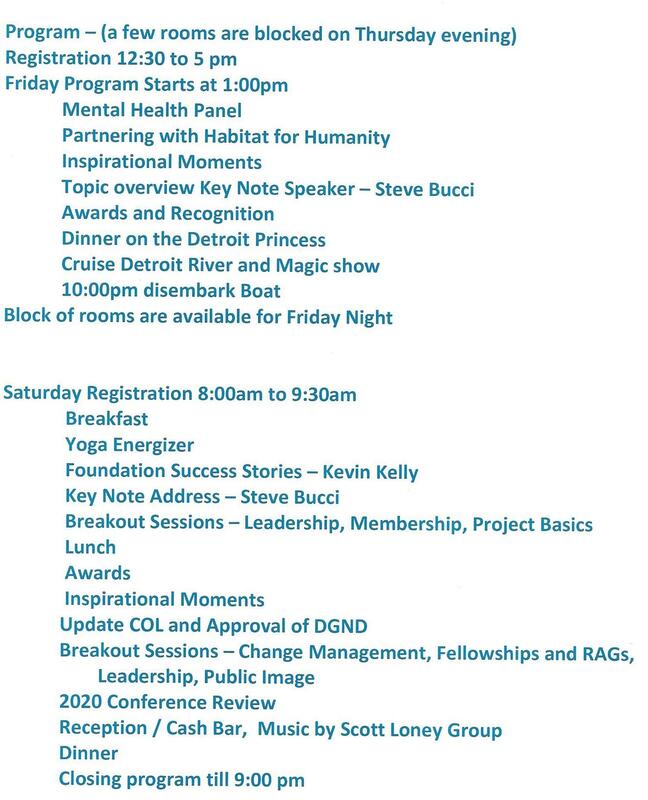 This year our Governor and her committee has decided to break out of the norm and present a wonderful 2 day event with incredible speakers and an out of this world Boat Ride down the Detroit River!! 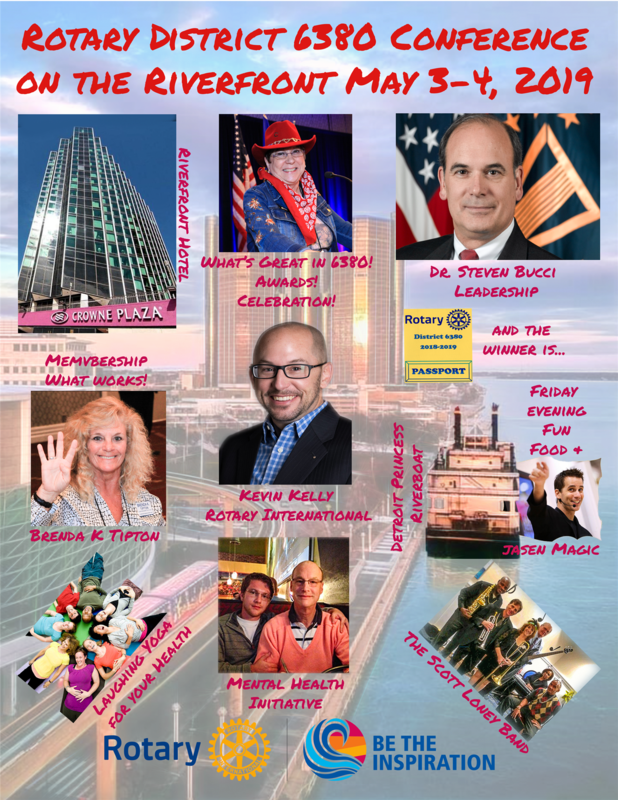 Be sure to bring your boat shoes or flip flops and have fun with your fellow Rotarians across the US and Canada District! Governor Jane is sooooo excited about this event that she is asking all clubs to have representation!!!! She wants us all together to celebrate the conference theme of "SACRIFICIAL LEADERSHIP" and give us all info on how to further grow our clubs and ask ourselves "are you ready to succeed?" Just in we have new attendee Packages - woo woo!!!! Full Conference Schedule will be posted soon below is a shortened overview!! Click read more for second page of brochure and schedule of events.